Since Xcode 7 we can now use Storyboards for the development of macOS apps. While that’s a welcome addition, not everything works as straightforward with macOS and Storyboards as it once did without them (Cocoa Bindings for example is still a huge mystery to me). In Xcode 9 we have once again a choice when starting a new macOS Project, a simple tick box we had lost over the course of Xcode 8 and Xcode 7. For those of us who are still looking at Xcode 9 as “a little bit beta” and still like to work with Xcode 8, here’s a quick guide on how to create a new macOS project from scratch using good old fashioned XIB files with Xcode 8.3.3. Let’s go through this process step by step, as we’ll have to do the whole setup manually. It’ll be very exciting, and a nice exercise, I promise! One of those super ridiculous situations in which Xcode couldn’t be more unhelpful is if it tells you flat out: “Yeah erm… there’s an error here, but I’m not going to tell you where to start looking”. Other than the above error message, we see no log output or any further clue that may help us to investigate further. Nice going, Xcode! You have such a dry sense of humour…. Lucky for us, there is a way to dig at least a little deeper by manually revealing what’s bugging Xcode: right-click the error message, and select reveal in log. Now we can read the log file at our own leisure and see if we can make head or tail of it. 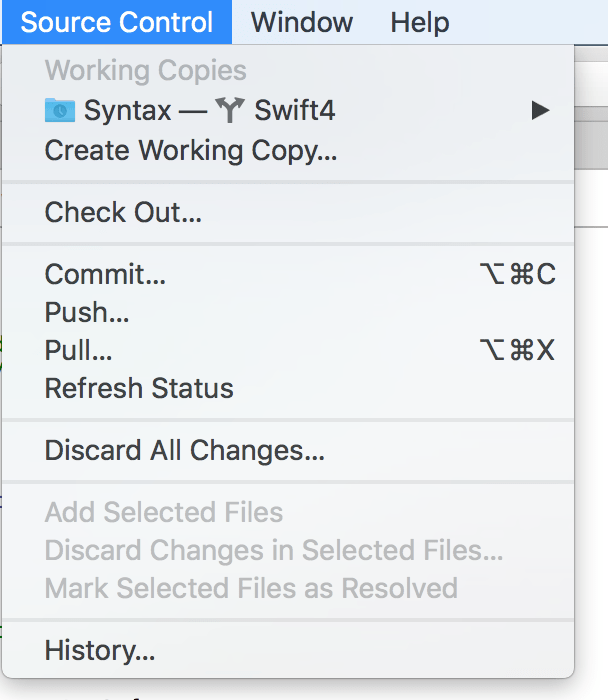 Recently I tried to merge some changes I had made on another branch back into my master branch, but Xcode wouldn’t let me. Spurious error messages prevented this from happening. I was happy to simply create a new master branch and overwrite it completely with the changes I had implemented on my former testing branch. Turns out that Xcode is happy to create new git branches for our projects and screw them up several times in a row, but sadly, it is not capable of deleting branches. So the simple answer to the title of this post is: it can’t be done! where “yourbranch” is of course the name of your branch. Make sure you’re not currently on the branch you try to delete. Doing this allowed me to simply create a new branch using Source Control – New Branch. When we do that, Xcode will automatically use the contents of our current branch as a starting point for the new branch and switch us onto it immediately.